This entry was posted on Sunday, November 30th, 2008 at 10:41 am and is filed under Uncategorized. You can follow any responses to this entry through the RSS 2.0 feed. You can leave a response, or trackback from your own site. 19 Responses to How to live today? you mentioned ignoring our spiritual duties is a sin. can you elaborate on what exactly are our spiritual duties. <3 This is what I am in the process of doing. I desire to connect with the majestic , wise God/Guru within me. (That's one of my goals). Dear Shahid and others who are serious about their salvation, We must cultivate and invest in our physical body if we wish to achieve higher levels of illumination; that is for sure. Our nerve channels which receive and transmit energy from the Cosmos/Universe should persist the strain of the movement of this communication. The nadis or nerve channels are lying dormant in the body and therefore need to be revived slowly with right food, exercise, fresh air and good thoughts and spiritual practices. It is at a very advanced stage that yogis live just by Cosmic energy and resist food for longevity, so take care of this machine called our physical body; it is precious, very precious. Thank you dear mom for your reply. The physical body is indeed precious and is a gift to us , being in which, we can realize God in this lifetime. I bow at the feet of God and all the Guru’s. 2. God watches over us all the time, people don’t. Very, very true Shahid. This blog is based on pure telepathy and intuition, the path, the channel of God communication. It should be developed by meditation and good deeds. My dear Paripurna, Shahid, Midhun, Nirav, Nish,Chaya, Kiran, Sureshji, Sunilji, Maheshji, Manju, Shilpa and all others. Thank you so much for being so consistent in giving your feedback and keeping the blog alive in the days when I could not attend to it. Nonetheless, I have been watching all of you and tracking all the comments and immense gratitude that have been pouring non stop ever since the communications with Swami Kartikeyan and others have been published one by one. One reason of not reacting to many comments was that I was quite stupefied by their grace.What more can I think of asking from God and how very fortunate we are to have great seers like Swami Kartikeyan, the son of Lord Shiva teaching us how to go about our sadhana. Out of my very deep gratitude, I kept silent.I also wished to practice maun and shanti- silence and peace in all the trying circumstances that came my way in the previous days. However, I heard you all and my heart always blesses each one of you when I see you being so concerned about your own growth and progress. As a mother and guide, I feel tremendously joyous at this sight.I pray for you so that you get more and more God’s glimpse, joy and calmness. This one comment is to thank all of you who are reading the blogposts and have been responding from time to time although I did not reply soon. Keep up this pace and keep alive your motivation to know God in this life. Seeking blessings for every single soul who has visited this site and wishes to salvage himself completely and then seek God within…..May your this wish come true. With immense love and gratitude to God and you. swami kartikeyan himself told us to keep more peace and silence. we are blessed. my heart become full after reading your comment..So much blessing and grace of your and divine masters along with continuous guidance will certainly take us out of darkness.. Please accept my Pranam Ma and divine masters. In the journey of our souls going homewards immense grace has been bestowed by God on us by making you faithfully transmit a sacred knowledge of God and great divine masters.i n utter humility wish to thank you sarikaji each day each hour for your divine service to mankind. deeply deeply praying to Mahavatar Babaji to meet you on the physical plane and guide all of us through you . 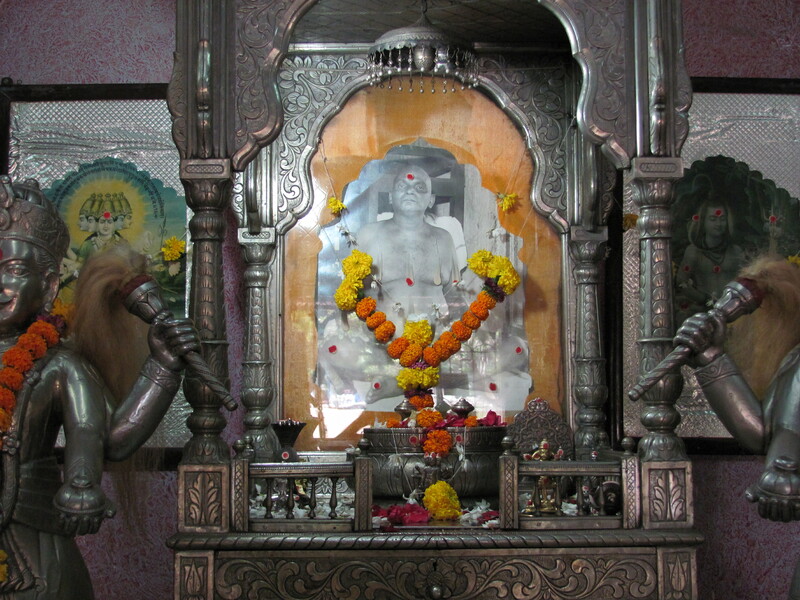 My koti koti pranams to Nityanand baba ! This is such a beautiful,and practical post. I will put into practice every piece of advice suggested in this post. This is really a worth reading post. Today I read it again. Whenever I read it, it gives me inspires me to live life to its fullest and move ahead to spiritual journey. All the points you mentioned are very important and applicable in today’s busy and stressful life. – Leave behind your past. – Do not have a limited purview of life, expand your horizon. Transgress your limitations. – Improve your existing skills and learn new ones. – Set targets and meaningful goals for yourself and chase them till they see the light of the day. – Invest time, energy and money in health. – Worship God in any form- formless or with a form. – Work hard and work sincerely. I am trying to follow it all and making it a part of my routine. Thanks Ma for sharing this valuable information. If we sow healthy seeds of good trees, the fruit that it will bear will be very, very sweet. reading your posts or listening your discourses, or contemplating what you said or sitting under your presence brings so much peace. I don’t know how to express my gratitude mother. God is causeless love. No condition must be put on it. We must consciously seek that and find it within ourselves. Why would anyone search so much for god, we are really searching for increasing the love in our lives, the best source of love is within, its independent and unconditional. Our outer guru is Ma, what is it in us that she inspires, where is it in us, now we must only search within, stop the search outside. If you can find it within, it will become causeless, till then Ma will anchor us and be a cause for our love. The quality of access into your own love makes everything perfect. Concentration is automatic with love. How we do one thing is the way we do everything. That’s why how we meditate affects all other actions and the entire day. Only when we close our eyes to the world and see how we are without external stimulus, what thoughts repeat themselves, where does our attention go all the time. Why is it that we feel the same when the cause is not there, why do we constantly remember the cause and make ourselves feel a particular way. Have we just made it a habit to feel a particular way. We have to start creating love within. With Iccha shakti we must try to be the source of our own feelings and make love causeless. When you divide your mind into 2, idea of me and idea of god, then you love that idea of god, overtime you realise it is become a habit to be in love state, you no longer need the idea of god to put you in that state, that love becomes causeless. The idea of me is also constantly changing, you start thinking maybe I am that constant love and the not the changing definations of me or of god. The level of causeless love must increase, they are a clear indication of progress on the path. The more purity inside the more causeless love is automatically created. When there is a lot of love in our lives, nothing else matters. If we know our next step forward in life and we can and want to do it with love, our pasts can no longer haunt us. Yes dear Kunal you are right. We must yearn and seek for God’s love within. One day, you shall be able to feel the unconditional, omnipresent and all mercy love of God in your heart. I read your comment very carefully. You are so much more confident and sorted since you came to me. Be mentally connected with me always. I am there with you, guiding you always.